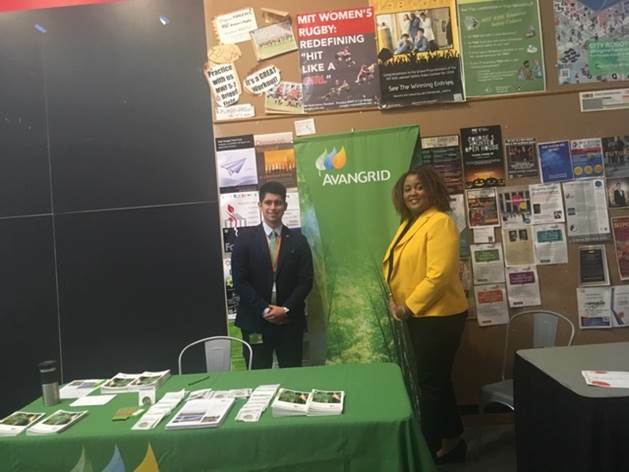 Last week AVANGRID and Iberdrola got to participate in the Massachusetts Institute of Technology’s (MIT) Energy Hackathon. With over 300 students in attendance (both domestic and international), they got the opportunity to represent a wide range of disciplines - policy, engineering and finance to name a few. Well-known institutions like MIT, Harvard, Stanford, Texas A&M, Tufts and more were being represented while industry leaders, including Iberdrola and AVANGRID, presented their organization and student challenges. While students are asking questions and forming teams, corporate sponsors were presenting their energy challenges in the hopes of creating discussion and innovative solutions. Each corporate challenge was assigned to several student teams based on demand and preference. Teams had 30 hours to design a solution and prepare a presentation. For instance, we, along with Iberdrola, asked our team of students to develop an energy storage strategy for offshore wind farms. The MIT Office of Sustainability presented there team with the challenge of developing a machine learning model, method, architecture or appliance to reduce MIT building energy use and emissions. Fast forward 30 hours, and student teams were ready to present. Energy solutions were presented to semi-final judges and five teams were picked to move on to the final round. The top five teams then presented their energy solutions to the grand-final judges who then selected the Hackathon winners. The Iberdrola/AVANGRID challenge was a popular one, generating five teams! The five teams were composed of engineers, computer scientists, MBAs and policy students from schools such as MIT, Stanford, Tufts, Northeastern, Georgia Tech and Cooper Union. We asked our teams to develop an energy storage deployment strategy for new offshore wind farms in the United States. All the teams delivered fascinating strategies but Team Crown Joules took the gold. So Why do we need offshore wind & storage? Team Crown Joules broke this down for us! Renewables must supply 70% to 85% of electricity by 2050 in order to avoid global warming beyond 1.5°C. The United States has 30 MW of installed offshore wind, with policy support for >4,000 MW and ~17 GW potential capacity on the Atlantic coast. Wind technology is rapidly improving with levelized cost of energy 33-45% lower than it was about three years ago. 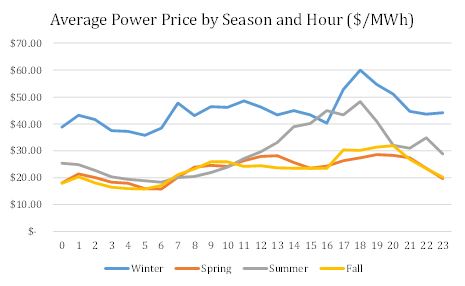 Winter peak energy prices and volatility can be offset using storage to deliver energy when it is needed most. Demand response can be used in evening hours when energy demand is higher! With new storage technology, low summer wind capacity can be offset by storing energy from higher capacity months. Team Crown Joules proposed an 800 MW offshore wind farm with 20 MW / 20 MWh battery storage off the cost of Massachusetts. Lithium-ion batteries offer a lower capex energy storage solution with ability to charge/discharge quickly. There are quite a few benefits that come from long term energy storage. Higher storage capacity and minimized issues due to frequent use compared to Li-Ion are just a couple. The Crown Joules team was offered the opportunity to present their offshore wind and energy storage strategy at the AVANGRID Innovation Forum being held on November 16th. Close to 200 students dropped by our recruitment booth during the grand finale event. Interest in smart grids, offshore wine, project management and data science were shown by undergraduate and Masters candidates, MBAs and PhDs.